I remember when I picked my laptop, I knew right away that I’ll need i7 laptop. They have the best performance and that’s what I needed. However, just knowing what processor you want is only the beginning. There are some of the worst laptops out there that have the same processor as the best i7 laptop. There are so many different laptops on the market today that it can be quite difficult to make the right choice. Each one has different components, build quality, screen, and battery metrics. I know how difficult it can be to find the perfect laptop for your needs and still remain within your budget. If you know exactly what you’re looking for in each area, finding the best i7 laptop becomes a whole lot easier. After reading this post, you will know exactly how to find the best i7 laptop. You will learn what to look for when you’re in the market for a brand new laptop. In other words, you will be able to find the laptop that offers the best bang for your buck. At the end of the post, you will also find the top 6 best i7 laptops. How we identify the Best i7 Laptop? The processor – commonly referred to as the CPU – is the most important part of your laptop. However, a good laptop cannot be summed up in this one dimension. There are many good processors, but not all laptops that have them are good. It all depends on the other components as well – RAM, storage space, and type, video card, etc. You should be aware that not all i7 processors are made from the same cloth – or should we say silicon, heh. Some versions are designed for power, while some are designed to save as much battery life as possible. That is even true with i7 CPUs. For example, i7 U-series of CPUs is designed to save battery power. They are quite close to the i5 processors and not as capable if measured by their raw performance. Meanwhile, i7-HQ and i7-HK processors are designed to offer as much computing power as possible. 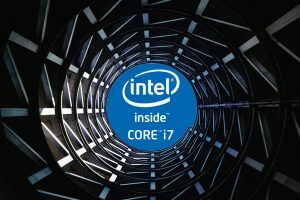 I’ll focus on i7-HQ and i7-HK processors in this post, as I guess this is what you’re looking for when searching for the best i7 laptops. The slightest lack of RAM has a dramatic impact on the performance of your new laptop. For example, you will notice lag when switching between running programs if the RAM fills up. If you are a casual user, 8GB of RAM should be enough – this is the minimum amount of RAM we recommend for an i7 laptop. However, gamers and professionals should aim for at least 16 GB of RAM. You might even need 24 GB if you work with 3D modeling and motion graphics. Keep in mind that larger laptops are easier to upgrade in the future – you can add a stick or two of additional RAM if necessary. At the same time, if you want a small Core i7 laptop, you should get the RAM you need right from the start – upgrading it, later on, can prove quite difficult if not impossible. The power an i7 processor can bring to the table is amazing, but you need fast storage (SSD drives) to take advantage of it. When I got my first i7 laptop, my hard drive was the biggest bottleneck by far. That’s because the faster the CPU can access the storage space, the faster the laptop will run. If you’re on a tight budget (under $1000), a regular HDD can be a viable option. You can get more storage space from a regular HDD, but its read and write speeds are much lower than those of an SSD. If you’re OK with larger laptops (17.3”), you can get both: an SSD and an HDD. This is a great way to “have it all” in your laptop – plenty of storage space on the HDD and fast read/write space on the SSD. Some of the more expensive 15.6” gaming laptops have this option as well. If you want the absolute best i7 laptop, you should choose one that has a PCI-Express interface for the SSD drive. These often have better performance than SSDs that use the standard SATA III connection. I expect many of you are looking for a gaming laptop when searching for the best i7 laptops. This means that a powerful video card is a must. As you might already be aware, Nvidia is the most popular when it comes to consumer-level gaming cards. Nvidia 960M is a great starting point and should be more than enough to play most games on normal to high settings. If you’re looking to play the latest games on high or ultra-high settings, then you should consider getting a Nvidia GeForce 970M or 980M. These are designed for heavy-duty gaming and can output video to an external monitor at resolutions over 1920×1080 (Full HD). We’ll start with the least expensive options first and then gradually climb our way up the overall best i7 laptop. The HP Pavilion 15.6 is the cheapest option you can find that has a relatively capable 6th generation Skylake Intel Core i7-6700HQ processor. The CPU is quad-core and each core can run at up to 3.5GHz. This laptop is your best choice if you want a top-of-the-line CPU but you don’t need a Nvidia graphics card. In other words, this laptop is definitely not a good choice for gaming enthusiasts but a great choice for computing-intensive work that cannot leverage CUDA (for example, programming). The battery life is what you would expect from an i7 laptop: about 7.5 hours. The ASUS ROG GL552VW-DH71 is a great option for $1000. It’s perfect if you’re on a reasonably restricted budget. It has plenty of RAM – 16GB of DDR4 RAM – that runs at a whopping frequency of 2133MHz. As you can expect, DDR4 RAM outperforms the older DDR3 RAM (but not by much). The laptop has dedicated graphics in the form of a GeForce 960M video card. It has 2GB of video memory, which is enough if you don’t plan on playing the latest games on ultra-high settings or playing them on external displays in resolutions above 1080p. The keyboard is full-sized and is also backlit. The WASD keys are pronounced, so the Asus ROG is clearly targeting the gaming sector. There is no Solid State Drive, unfortunately. You get a high quality 15.6” screen. The IPS panel has a matte finish and the brightness and contrast values are above average. Unfortunately, the battery life is below average – quite short, in fact: around 1.5 hours when playing games. In other words, you won’t be able to stray too far from a power outlet if you plan on playing for a bit. The Dell Inspiron i7559-7512GRY is a very good option if you are not a gamer and don’t need a dedicated video card. The processor (i7-6700HQ) is quite potent for multitasking. The IPS touchscreen supports 4K resolutions and the brightness and contrast values are just about average. The battery life is very good for an i7 laptop: 6.5 hours. You can safely stay away from a power outlet and work comfortably on the go. The MSI GE62 Apache Pro is a potent laptop that uses the proprietary Wide Angle technology instead of the more widely adopted IPS panel. The display is good and the viewing angles are very good. You get massive amounts of storage in the form of one 500GB Solid State Drive and one 2TB regular Hard Drive. Unfortunately, the battery life is way below average: just 3.2 hours. The Sony VAIO Z Canvas 12.3 is the best 12-inch laptop with an i7 processor you can find on the market today. The display is very good: HiDPI IPS touchscreen. The maximum resolution is 2560 x 1702 pixels. Although it has a decent battery life of around 4 hours, you shouldn’t expect it to last you a whole day. The MSI GT72 Dominator-G 17-inch laptop has an older generation of i7 processors (i7-4720HQ). However, this processor is as capable as newer generations, so you don’t lose anything. The laptop has a very good Nvidia GeForce GTX 970M video card. It has 3GB or video RAM and can run the latest games on ultra-high settings. Playing on an external display at resolutions of over 1080p is also possible. The storage space is provided by a potent 500GB SSD over PCIe. It offers better performance than regular SSDs over SATA III. The screen brightness and contrast values are above average and the display has a relatively good, 85% sRGB coverage. Unfortunately, the Dominator-G has a short battery life of just under 3 hours. You should stay near a power outlet if you plan on playing some resource-intensive games as these realistically might drain it in ~1 hour. Now you know exactly what to look for when searching for the best i7 laptop. If you are a gamer, you know what the best video cards are. If you are on a budget, you have two examples of budget i7 laptops above. As long as you know exactly what to look for, finding the perfect i7 laptop for your needs should be relatively easy.